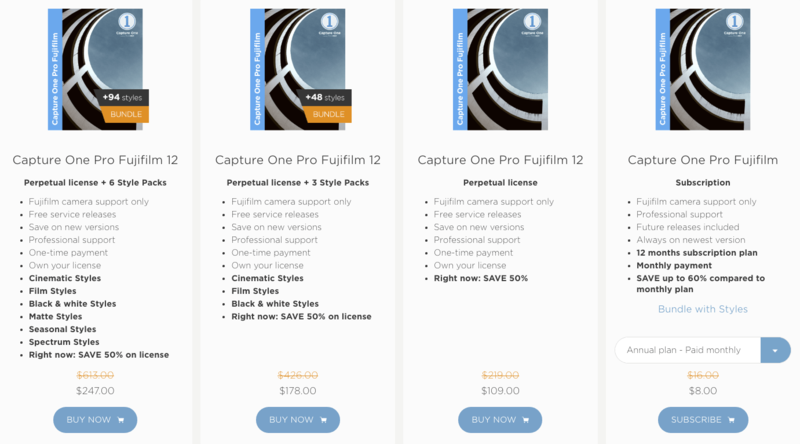 Prices for Capture One Pro (for Sony) and Capture One Pro (for Fujifilm) licenses are reduced by 50% till the end of April, saving £110 ($110) on perpetual licenses that are normally, £219 ($219). If you prefer a subscription (see our article here), Capture One Pro for Sony or for Fujifilm models can be purchased for the equivalent of £8.00 ($8.00) per month when buying an annual plan (paid monthly). To find out more, including savings on Style Packs when buying the full version of Capture One Pro (which includes support for a wide range of camera brands, not solely Sony or Fujifilm), visit the official Capture One store.